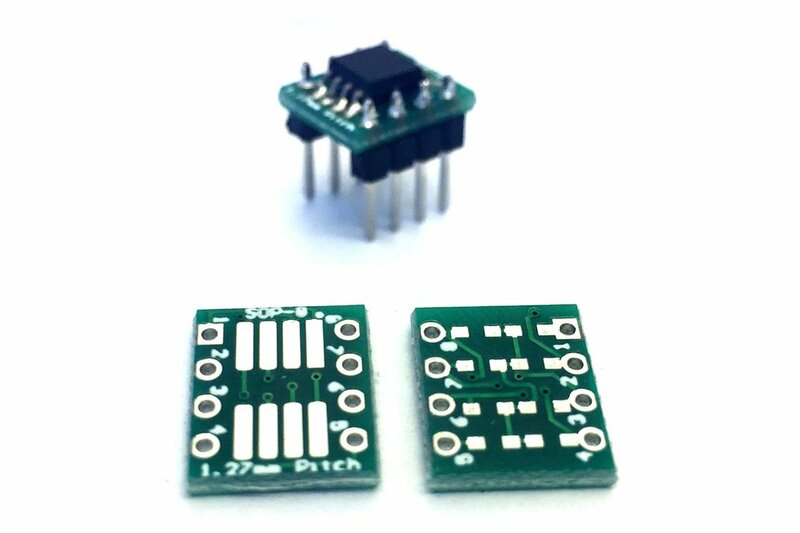 10x SMT Adapter SOIC-8 or SOP-8 to DIL-8 with pads (0603) for decoupling on the back. Bare PCB only. The SMD Adapter was designed by me to use SOIC-8 and SOP-8 components in breadboards and DIL-8 sockets for projects and prototypes. The top side contains a footpint for a 8 pin .05" pitch SMT component of SOIC-8, SOP-8 or SO-8. The bottom side has an array of 0603 pads to connect 0-Ohms and capacitances to provide decoupling on any pin(s) needed. Drillings are provided to solder pin header in a .1" pitch typical DIL-8 footprint. 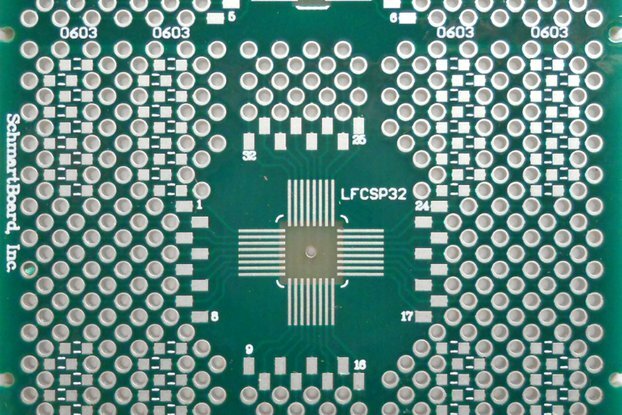 The PCBs can be equipped with pin headers to use them directly breadboards, DIL-8 sockets and on any DIL-8 footprint on other PCBs. Every DIL pin has its designator printed beside the drilling on the zop and bottom to reduce the risk of misconnect or misplace the component. 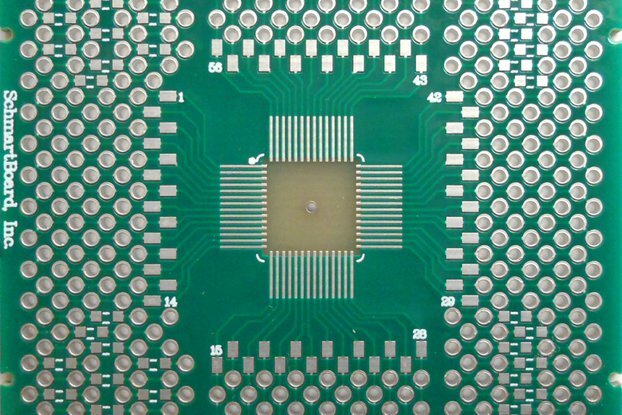 The first pin on the SMT and the THT footprints are marked with with square connects, while every other pin is rounded. 10 parts (PCB only) are part of this offer and will be shipped without any soldered component or pin.